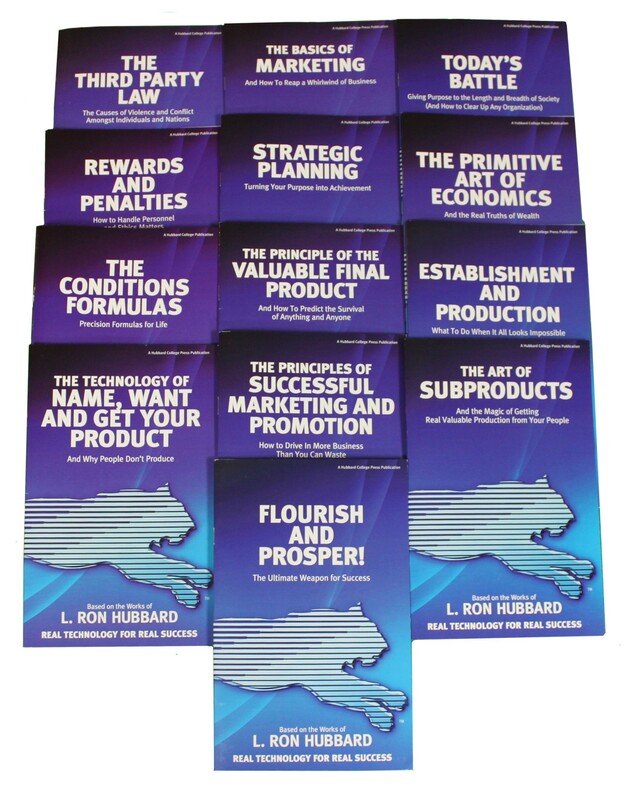 You can give a booklet to a prospective client to provide a solution or you may just use it to introduce someone to the Hubbard Management System. They are also a valuable addition to seminars. They provide the attendees a written reference to take home and they increase the likelihood that they will apply the data that they have learned in your seminar. These booklets are excellent dissemination tools. Material is shipped from Los Angeles. Saddle stitched booklets. 8 1/2 by 5 1/2 inches. Produced in the United States. Available while quantities last.